Live Nation and MCD today confirm shows in Dublin and Belfast on U2’s upcoming eXPERIENCE + iNNOCENCE Tour with tickets on sale from 2nd February. As part of their European tour, the band will play at Belfast’s SSE Arena on 27th October 2018 and at home in Dublin at the 3Arena on 5th and 6th November 2018. See the full tour dates below. 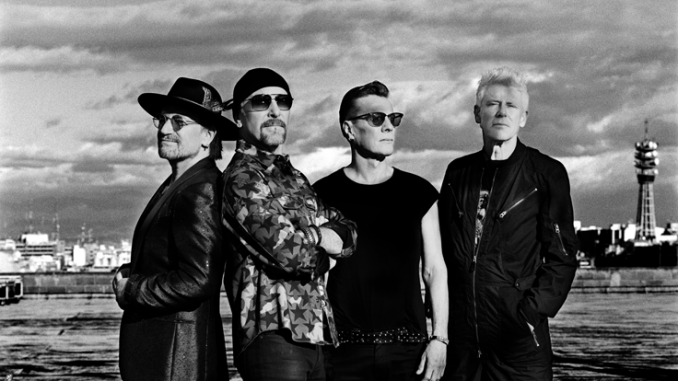 Following last year’s acclaimed stadium run with The Joshua Tree Tour 2017, the eXPERIENCE + iNNOCENCE Tour will see U2 return to indoor venues, picking up where 2015’s ground-breaking iNNOCENCE + eXPERIENCE Tour left off. The eXPERIENCE + iNNOCENCE Tour follows the recent release of the band’s 14th studio album Songs of Experience. Just as Songs of Experience serves as a companion piece to 2014’s Songs of Innocence, the eXPERIENCE + iNNOCENCE Tour is a sequel to the 2015 tour. As with every U2 tour, this new arena production will explore the latest in cutting-edge technology. 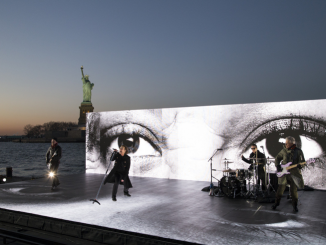 The eXPERIENCE + iNNOCENCE Tour is a development of the unique and innovative staging of the 2015 tour, featuring multiple performance areas, a state-of-the-art sound system, plus an all new super high-res LED screen nine-times the resolution of the 2015 screen. Tickets for the Dublin and Belfast dates of U2’s eXPERIENCE + iNNOCENCE Tour will go on sale beginning Friday 2nd February. All General Admission floor tickets in Dublin and Belfast will be paperless and available online or at the box office only. Please also note that there is no queueing permitted at 3Arena prior to 8am due to heavy local construction. September 8 Paris, FR AccorHotels Arena .